Black Friday and Cyber Monday are over. That usually means discounts are on hold, and everyone’s waiting for Christmas in order to start new promotions. To make this in-between period a little bit more fun, we have decided to give away several licenses for our most popular WordPress products. Who would like an early Christmas present? Let’s keep it short and focus on the giveaway and the prizes. If you’re ready, start the giveaway. UnderConstructionPage PRO is the newest addition to our family of premium WordPress plugins. It will let you generate a unique under construction, coming soon, maintenance or landing page with numberless options. The entire page can be created with a help of an intuitive drag and drop builder. You get to choose from more than 300,000 free images, use more than 100 prebuilt templates, connect any 3rd party autoresponder, add contact forms, countdown timers, newsletter forms, and practically any other elements you wished for. There are also unique whitelisting and tracking features, and galore of options that are waiting for you to explore them. If you want to show a location on your WordPress site, you will want Google Maps. And this plugin is the fastest one for the job, and yet it counts more than 50 professional features you can rely on. Use a thumbnail and interactive map, style it and add the unlimited number of pins on the map. We have just updated the plugin with features like custom color schemes which let you build your own map styles. There is now a clustering option that will allow pins grouping, and you can quickly create a link out of any pin you put on the map. We also added new pins, and Google Maps Widget PRO is now more customizable than ever! Just check out the examples. Whether you’re a new blogger or have a site for years, you should always take care of the security. 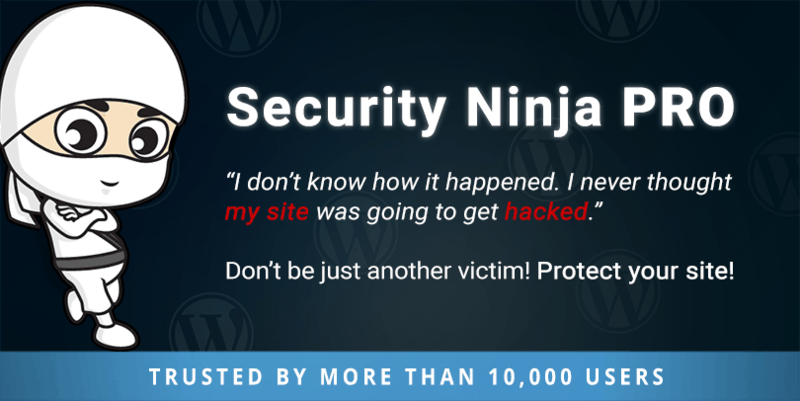 With Security Ninja PRO, you perform more than 50 security tests and improve your site. Security Ninja will fix most of the problems for you, and it will teach you how to fix the rest of them. With its different modules, it’s possible to scan all files, check for malware, and even schedule scans and track your users’ activity. We are currently working on a new module so that your site can get even better. OK, it’s time to take a part in the giveaway and get a chance of winning the plugins. We aren’t going to ask you for much. You can participate in the giveaway by tweeting, following us on Twitter, viewing our Facebook page and commenting on any of our blog posts. Good luck! The giveaway is now over. Thank you everyone for participating. We have randomly chosen the winners. Congratulations Omar, Patrick, and Robert! We will send you an email with the details of your prizes. Published on December 7, 2017 by Ivan; modified on December 22, 2017. Filed under: giveaway, WordPress. Looks great! Hoping to win.. Awesome giveaway guys, good luck everyone. This is an awesome giveaway. Some of the best WordPress plugins out there. Good luck to all. Thank you “Web Factory Ltd” for such a great opportunity, i’m in. All three Web Factory plugins are exceptional and extremely useful. Love to win one or more of these plugins. Great giveaway. Hoping to win. All these tools are very essential for bloggers, I’m impressed with the under construction tool. Really need it.